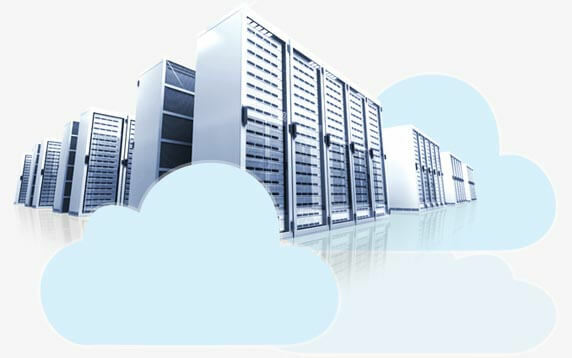 Cloud hosting solutions that can grow with your needs. Harness the power of our flexible, reliable and secure cloud hosting solutions that can grow with your needs. One size doesn't fit all. We can work with you to design a Cloud Hosting solution with customized processing units, backup servers, RAM, monthly data transfer, IP addresses, SAN storage and operating system that are tailored to meet your specific business needs. Our easy-to-use self-service portal allows you to view and manage your virtual machines through a browser or by mobile applications. Using our intuitive interface you can quickly and easily control your servers, including: securing data, resizing servers, creating new servers, and etc. Our cloud hosting solutions provide you with an entire library of hundreds of templates that are ready to run VMs. Depending on the workload, our virtual machines can be auto-scaled up to 20% from the base configuration. In just seconds you can expand or reduce servers to ensure that they keep up with demand and no money is spent on unnecessary resources. Our VM’s can failover successfully to a different node in the event of server hardware failure. We utilize enterprise-class hardware with a fully redundant network design to ensure that you get 100% network uptime for your server. We provide multi-layered security and a fully functional, customizable firewall with every virtual machine to prevent invasions. Automated backups and snapshots also further ensure that server content remains safe and up-to-date. With our cloud hosting solutions you are in complete control which means you choose everything, from your cloud infrastructure, required resources and even the level of support you need. We offer affordable and efficient enterprise storage devices that are powered by NetApp. Extensive storage capacity is available on SSD, SAS, and SATA hard drives. We offer a huge storage pool of high performance storage that is well-matched for constantly changing business requirements. We also provide secure and durable data storage for data archiving and backup. Our cloud hosting solutions allow you to pay for only the resources you utilize on an hourly basis, giving you the most control over your hosting budget. Contact us today to chat with a specialist about your Cloud hosting needs.